The morning brings a renewed confidence in their ability to survive as the Group prepares for the imminent attack by Woodbury. Carl, Beth and Hershel take Judith and a car into the woods to sit out whatever battle awaits. 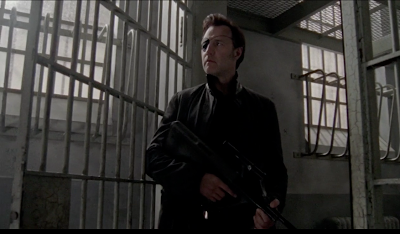 The rest of the Group remains behind in the prison to defend their new home from The Governor's Army. They don't have to wait long. The newly recruited and trained Army blasts their way in the front gate, destroying a guard tower in the process. 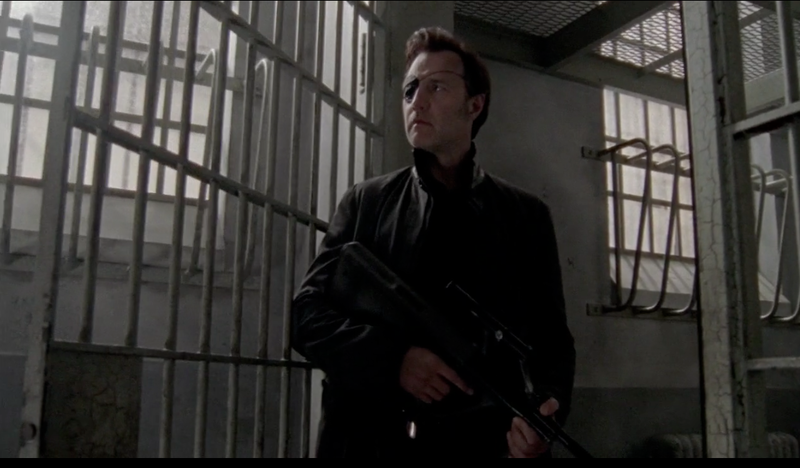 The Governor leads the way through the cell blocks with armed soldiers at his heels. They are all surprised to see that the prison appears to be abandoned. But in the shadows, an even bigger surprise awaits them. Rick, Daryl and Michonne wait in the darkness. 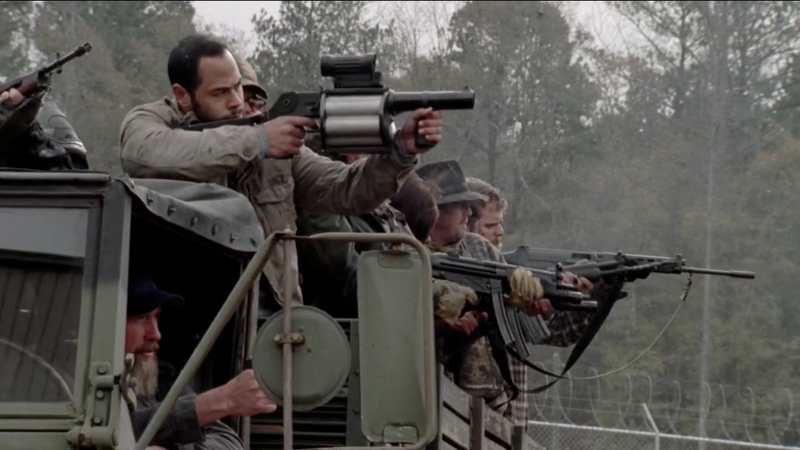 Using smoke bombs and activating the alarms, the trio manages to send the makeshift army into a frenzy of terror. 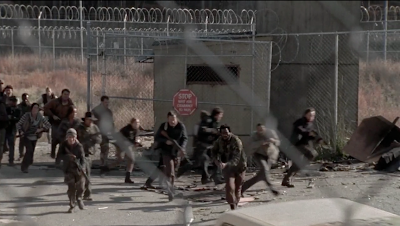 In a panic the Woodbury group flees into the prison yard, where they are fired upon from the catwalk by Glenn and Maggie. 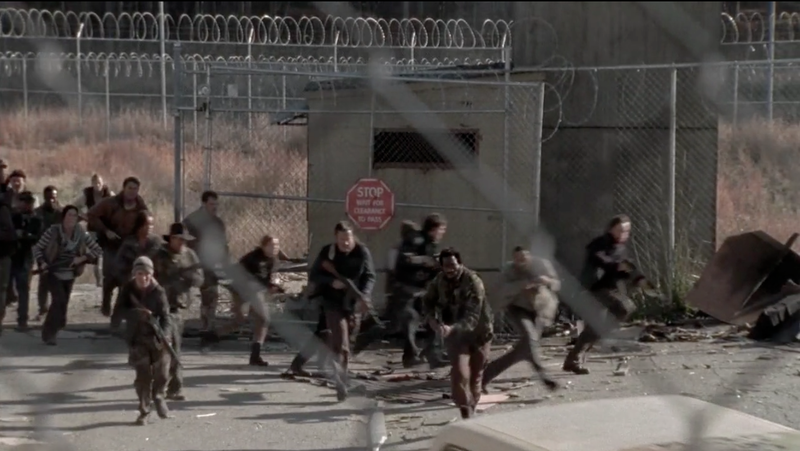 The rout is completed when the entire Woodbury Army piles into their vehicles and races away from the prison. A lone child-soldier escapes on the far side of the prison but is shot dead by Carl; even after the boy surrenders. 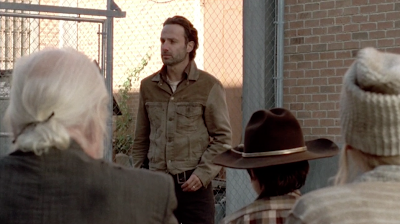 Rick and the entire Group are overjoyed and make the decision to return to Woodbury to finish it. While the trip to Woodbury would not take too long; it would be long enough to need food on the journey. 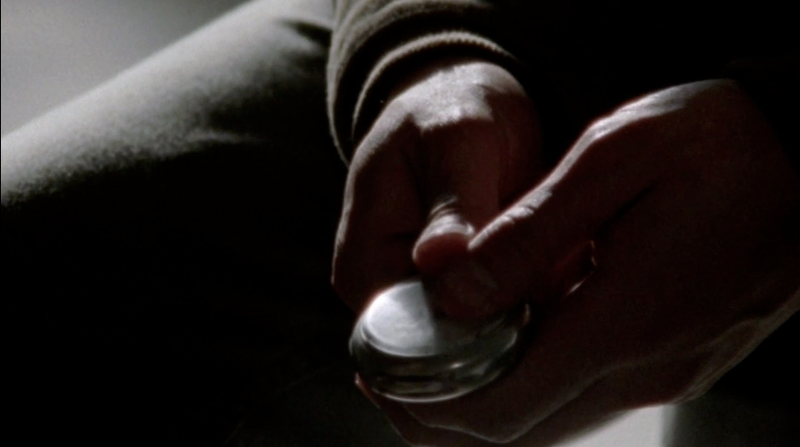 Hershel would pass out wrapped biscuit sandwiches for everyone to eat while they travelled and worked. Cheddar Sliders with Tomato Jam make a flavorful and satisfying lunch. Canned tomatoes simmered slowly with cane sugar transform into a luscious jam. Sandwiched between simple biscuits and shelf-stable Cheddar, these sliders taste fancy despite their humble ingredients. 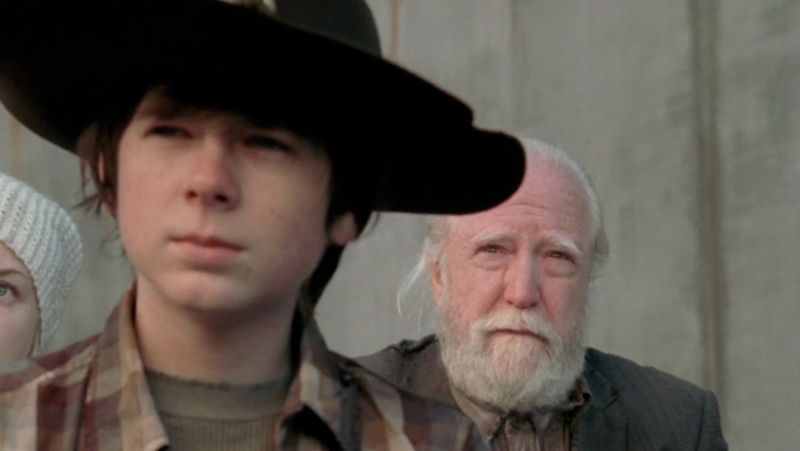 And when the dead rise; if Carl tells you to drop your weapon…drop it! In a medium, heavy saucepan or Dutch oven, combine tomatoes, sugar and salt. Place over medium heat (or medium-hot campfire coals) and allow mixture to come to a boil. Stir frequently to prevent sticking and allow to cook for 25 to 30 minutes. Mixture will become thick and shiny like store-bought jam. In a large bowl, stir the baking mix and water together until a soft dough forms. Sprinkle a clean, flat surface with additional baking mix. Turn out biscuit dough onto prepared surface and knead gently 8 to 10 times. Pat out dough into a circle that is 1/2 inch thick. Cut with a biscuit cutter and place in a greased cast-iron skillet or Dutch Oven. Place in preheated oven and allow to bake for 7-9 minutes or until golden. Alternately, cover skillet tightly with foil and place over hot coals. Allow to cook for 4 minutes and rotate skillet. Cook for an additional 3 minutes and recheck. Biscuits are done with they are golden and the tops spring back lightly when touched. Slice the biscuits while still warm. 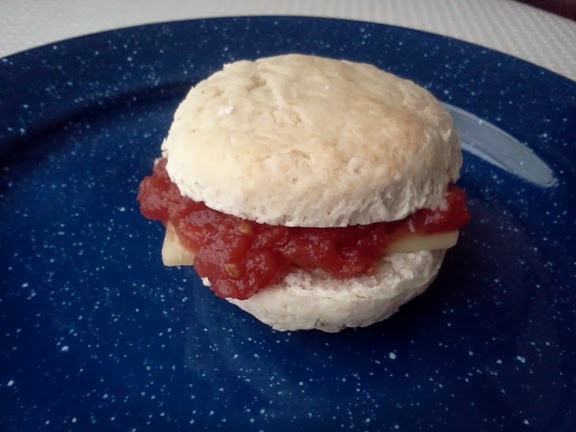 Top with a thick slice of cheese and a few tablespoons of the tomato jam. Serve immediately. Glenn approaches Hershel and shows him the pocket watch that Hershel presented to him at the Greene farm, so long ago. 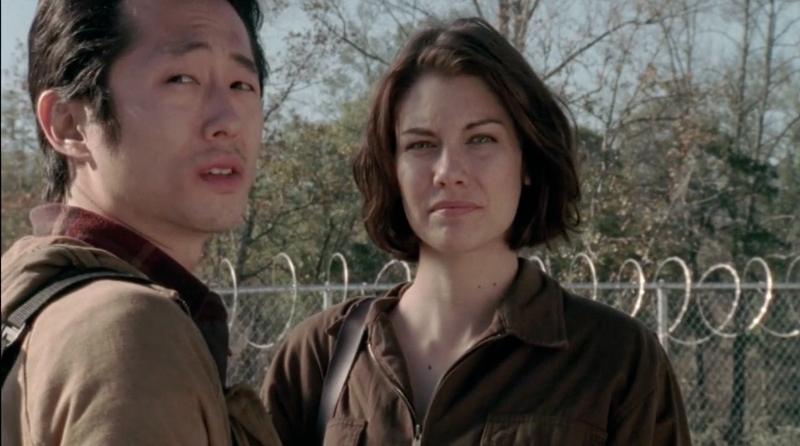 Glenn explains that he understands the gift now; and that he wants to marry Maggie. 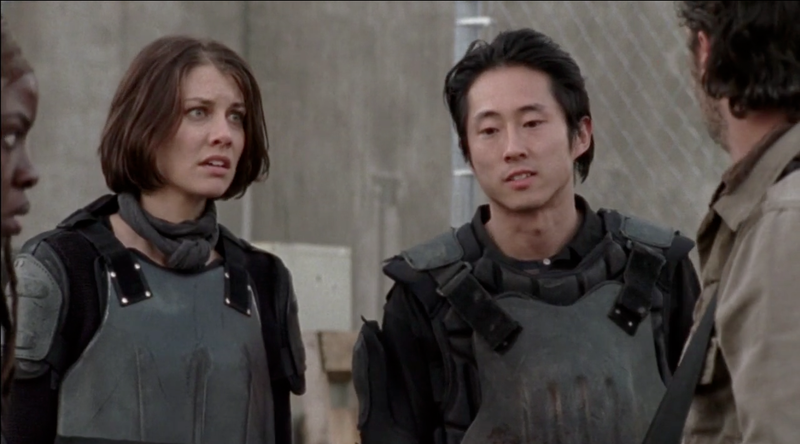 Although the looming war with the Governor may end all of their lives within the week; he still wants to get married. 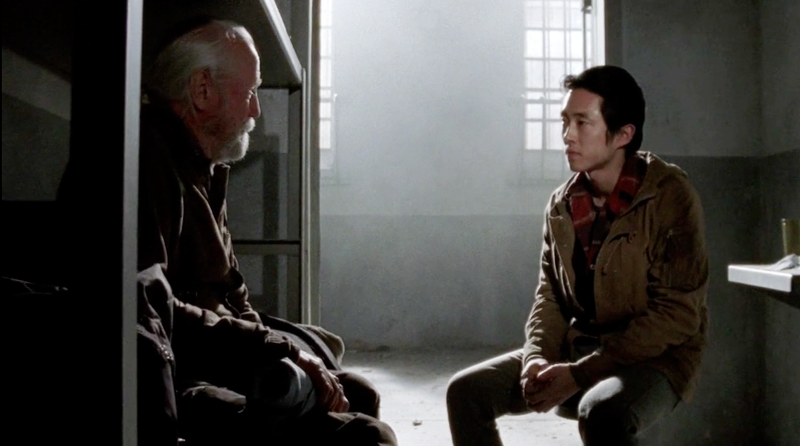 Hershel gives Glenn his blessing and smiles as the young man races off to propose to Maggie. 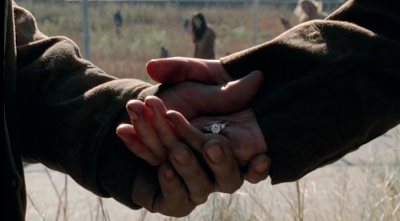 Glenn finds her keeping watch and only needs to show her the ring he has scavenged before she says "yes." 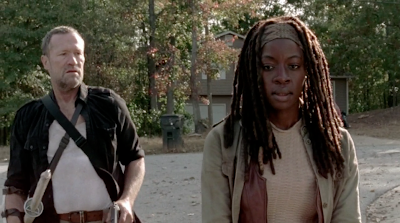 Michonne returns to the prison at last. 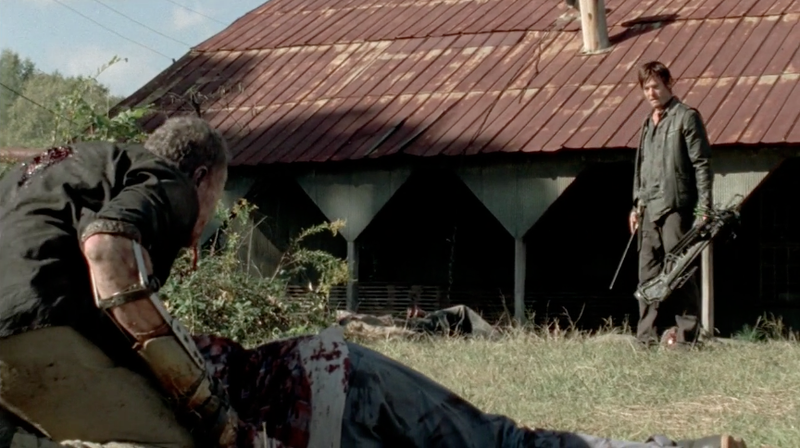 Merle let her go and headed to the feed mill alone in an attempt to inflict at least some casualties on the Governor's best fighters. 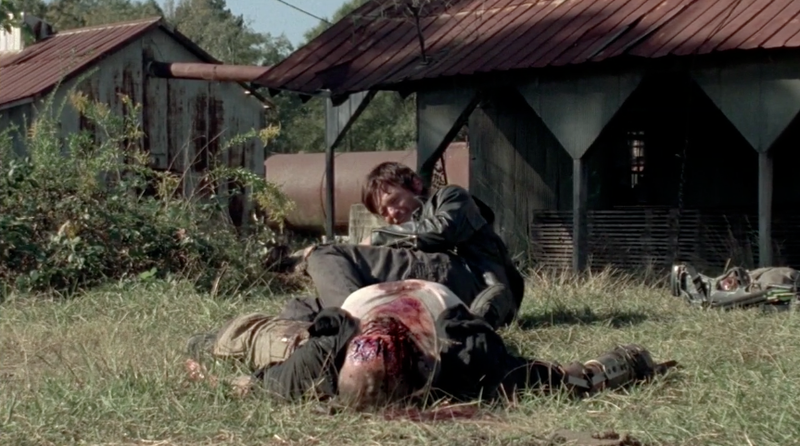 Daryl returns later with the news that Merle succeeded with his plan. Eight of the Governor's best men lay dead. And Merle himself was killed and turned in the process. 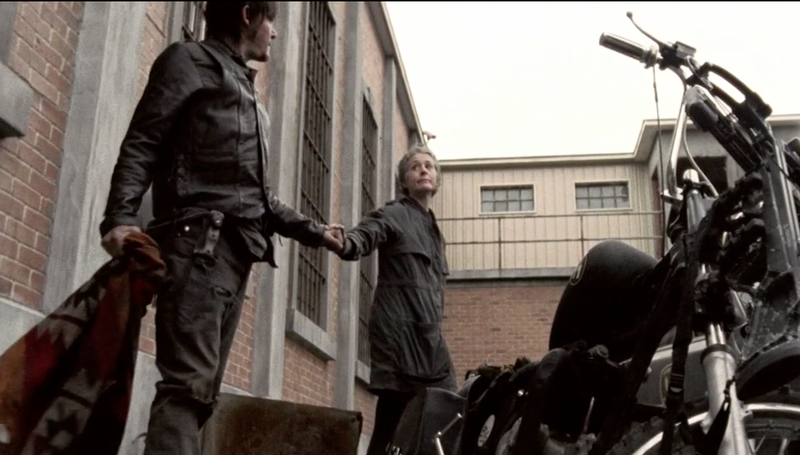 None of the Group would have the heart to be anything other than kind to Daryl over his terrible loss. 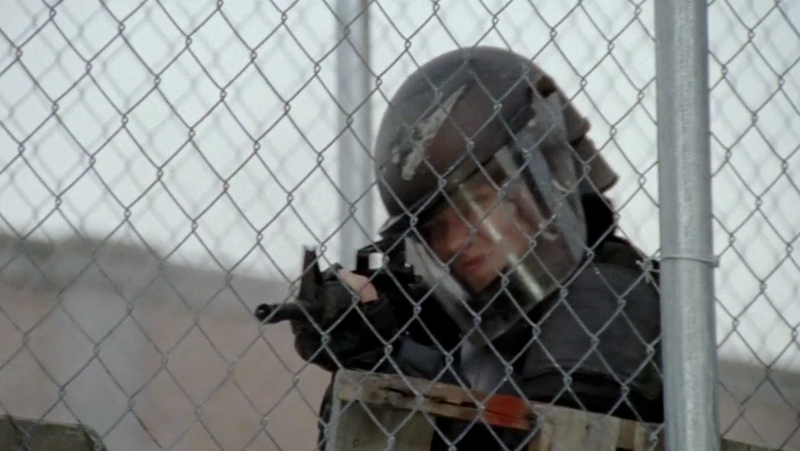 Merle's crazy plan has given them a fighting chance. Woodbury has lost eight of their finest soldiers as well as the advantage. That night, dinner would be awkward and heartbreaking. Hershel and Beth would want to make something extra nutritious but also delicious; especially for Daryl. Like Daryl, Merle's heart was true; but the eldest Dixon was unable to find his path until his death was inevitable. Although none of them were able to cultivate a fondness for Merle; their love and admiration for Daryl would assure respectful behavior. Late Bloomer Pasta uses intensely-flavored pantry ingredients for the light vinaigrette and whole wheat pasta for an extra vitamin and fiber boost. Inspired by the New York Times recipe for Anchovy Vinaigrette (with raisins! ), this unusual and simple combination will surprise you. Like Merle Dixon, this strongly flavored dish comes with a bite and leaves you wanting more. No food is a cure for grief, but sharing a nutritious meal with people you care about is a good start. And when the dead rise; it's okay to be a late bloomer. As long as you bloom in the end. 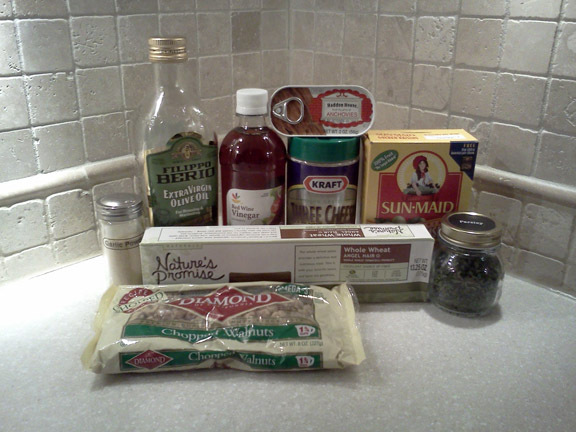 In a large, heavy stock pot or Dutch oven, combine the first four of the vinaigrette ingredients. Warm gently over medium heat or medium coals and stir until anchovies "melt" and liquefy but do NOT allow to simmer or sauté. In another large Dutch oven, boil water over high heat or very hot coals. Cook pasta according to package directions and drain. Stir into the vinaigrette and toss well, using two forks. 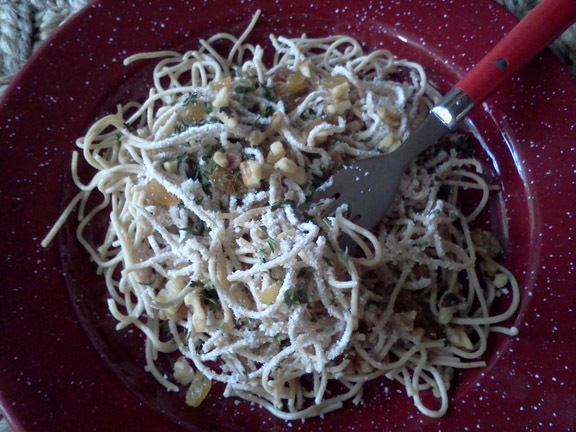 When the vinaigrette is well blended with the pasta, stir in the last four ingredients and toss again. Allow to cool slightly and serve with Sea Salt and Pepper. At the eleventh hour, Rick advises Daryl and Hershel that he wants to hand Michonne over to the Governor. 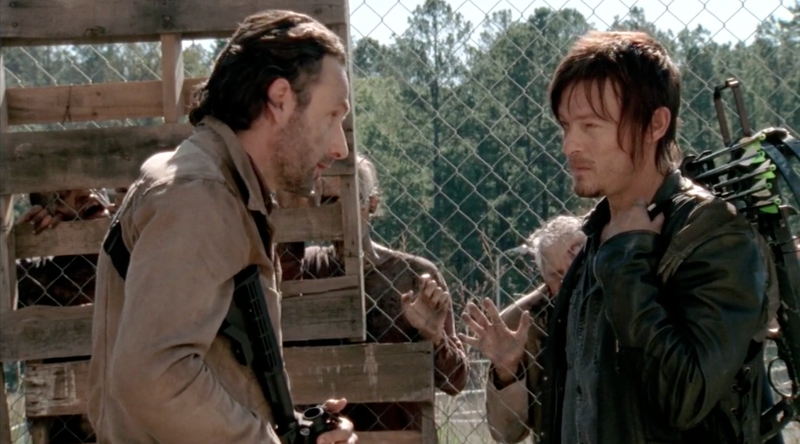 Both Daryl and Hershel object, but out of loyalty to Rick, they cooperate with the idea. 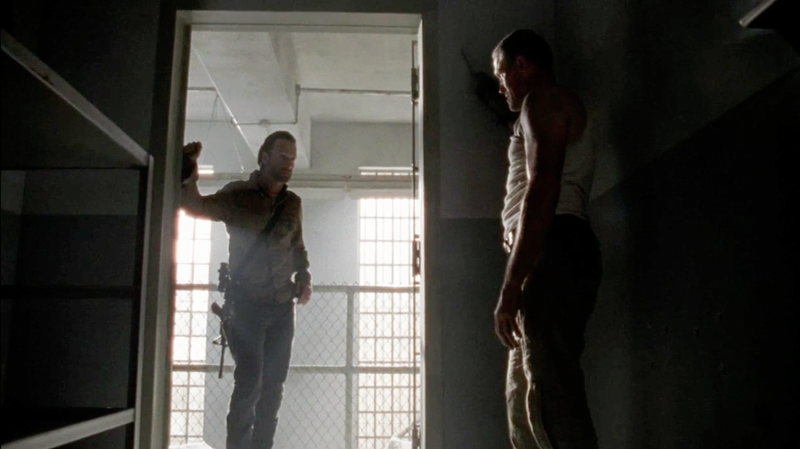 Rick enlists Merle's help but is taken aback when Merle criticizes his cold-heartedness. While Merle makes preparations to deliver Michonne to Woodbury, he tells Daryl that he is prepared to be the Group's bad guy and do their dirty work. 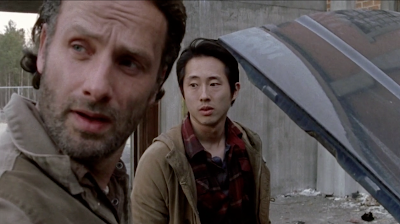 Realizing at last what he is about to do, Rick stops the entire scheme. Unfortunately, Merle has already kidnapped Michonne and set the plan into motion. Daryl goes after Merle while Rick confesses to everyone exactly what the Governor had proposed to keep the peace. 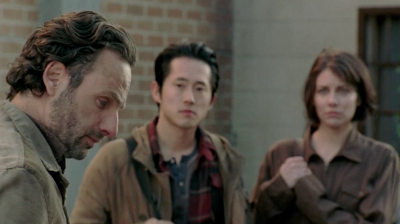 Approaching the Group, Rick insists that how they live and die is no longer up to him…but to them. He will never be a governor; and the choice to stay and fight or live on the open road will be one they make together. Chaos has descended upon them once again. 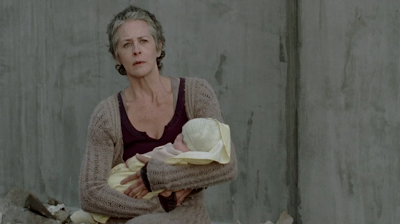 Merle and Michonne are on their way to Woodbury and Daryl is missing. The most terrible part of the entire ordeal is that none of them can do anything at all. They can only wait. Eating with this much turmoil going on would be out of the question, so it was a good thing that Hershel and Beth got up early and made a large breakfast for everyone. Vegetarian Sausage Turnovers with Dreamsicle Fruit Compote make a hearty, yet light-tasting breakfast. 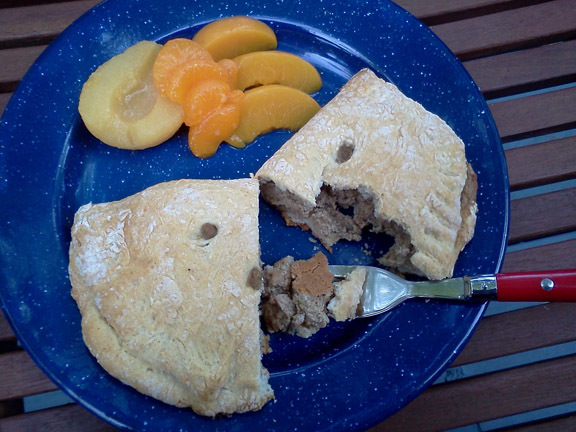 Turnovers, with a creamy and spicy TVP "sausage" filling are the hearty counterpoint for the light fruit compote. 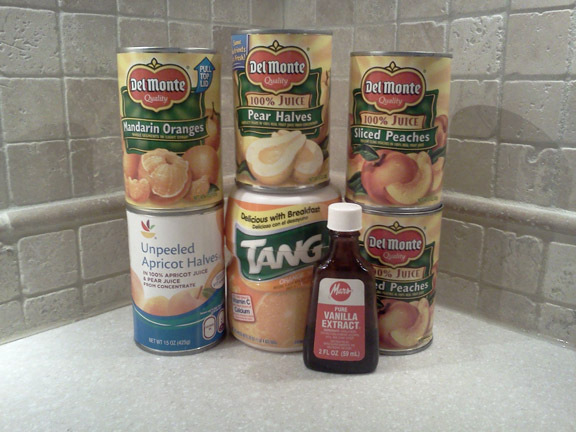 Canned fruit is given a special kick with a vanilla- infused citrus sauce based on Tang Breakfast Drink. Inspired by Dreamsicles, this fruit salad will please your group and the high-protein content of the creamy turnovers will keep them satisfied. And when the dead rise; don't bother looking for whiskey in the mattress. Preheat oven to 375°F. Alternately, heat campfire coals to red hot and allow to burn and cover over with white ash. For the Filling: In a heavy saucepan or Dutch oven, combine the TVP, stock and all the seasonings. Heat the mixture over medium heat or medium-hot campfire coals. Allow to cook for 15-20 minutes or until the TVP is softened and the stock is absorbed. Remove from heat and allow to cool to room temperature. Stir in both jars of cream cheese spread and let the mixture rest while you prepare dough. 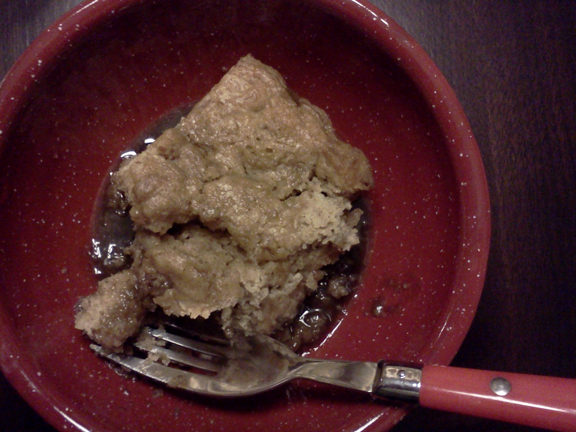 For the Crust: In a large bowl, combine the baking mix and water. 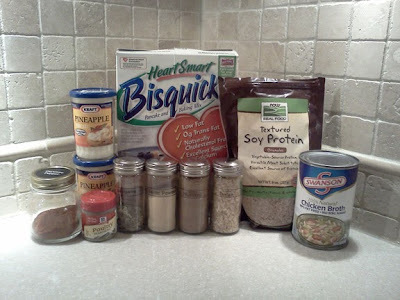 Blend well with a spoon until the mixture forms a ball of dough. 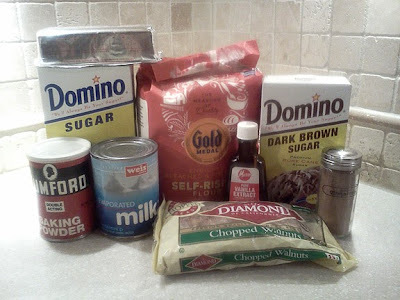 Sprinkle additional baking mix onto a flat, clean surface. Knead dough mixture 10 times or until dough is smooth. Divide dough in half and then divide each half in half again. You should have four equal pieces. Roll or pat out each portion into a 6 by 4 inch oval. Carefully spoon one fourth of the sausage mixture down the center of the dough oval. Fold the shorter sides of the dough oval in half, completely covering the filling. Press the edges of the crust together with fingers and then and press together to seal with a fork. Using a spatula, transfer each turnover to a baking sheet or cast iron skillet. With a sharp knife, cut several slits in the top of each turnover to allow steam to escape as it bakes. Place baking pan or cast-iron skillet into preheated oven and bake for 15 minutes or until golden brown. Alternately, place turnovers in a cast-iron skillet cover tightly with aluminum foil or a baking sheet placed on top of skillet. Place over campfire coals. Allow to "bake" for 10 minutes and check. Turnovers should be golden brown and sound almost hollow when tapped. If needed, reseal with foil and continue to bake for another 5 minutes. In a large bowl, combine drained fruit, Tang drink crystals and Vanilla extract. Stir well until drink crystals are dissolved. Serve immediately with turnovers. 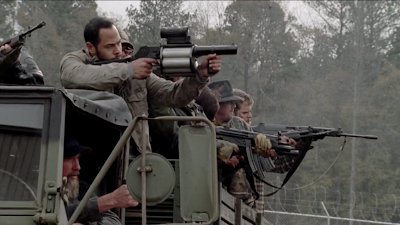 The same Georgia survivors who discovered the existence of high-tech "Walker Traps" have recently reported on their destruction. 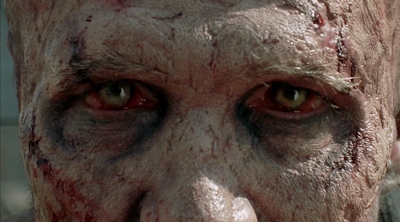 The solar-powered traps were baited with elaborate noisemakers to attract Walkers. After their discovery, local survivor groups in the neighboring counties had been avoiding the area, but returned occasionally to scavenge for supplies. On the last supply run they completed, they did observe the traps to see how many Walkers were confined within. What this news could mean for local survivors is, of course, unknown. However, it is a relief to see that the original designers of the traps have abandoned the foolhardy idea. At this time the WDSCB would like to present Caramel Sauce Cake. Inspired by a vintage Mennonite recipe, this moist and warming cake is comforting with the rich aroma of Cinnamon. A buttery caramel sauce forms right from the batter and adds to the noteworthy flavor. Caramel Sauce Cake will become the go-to recipe when your group needs a sweet smile. Preheat oven to 350°F. Alternately, heat campfire coals until red-hot and allow to cover with white ash. Using clean hands, spread 2 Tbsp. shortening over the bottom and sides of a heavy baking pan (9" x 9") or a cast iron skillet and set aside. For the Caramel Sauce: In a large, heavy saucepan (or Dutch oven) combine all the sauce ingredients. Place on oven over medium heat. Alternately, place over medium-hot campfire coals and stir. 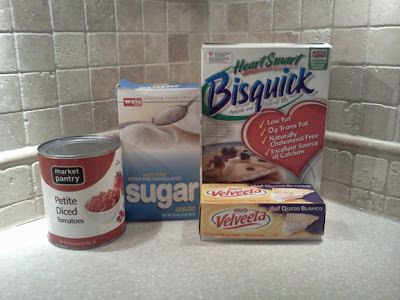 Stir until the shortening is melted and the sugar is completely dissolved. Set mixture aside to cool while you prepare the cake batter. For the Cake: In a large mixing bowl, combine flour, sugar, baking powder and spices and stir until blended. Stir in milk and shortening and stir well until combined. Add nuts and stir well. Pour into prepared pan or skillet. Using great care pour sauce mixture over cake batter mixture in pan. Place in preheated oven and bake for 40 minutes or until a knife inserted in the center of the cake comes out (relatively) clean and the caramel sauce mixture is bubbling out of the pan a bit. Alternately, cover tightly with foil and place over campfire coals. Allow to "bake" for 25 minutes. Remove from heat and check for doneness. It will almost certainly require another 15 minutes or so. The texture will be more gooey if cooked over an open campfire but will still be delicious.